Another family party loomed large again on the horizon, and, having made ginger loaf before, I decided to do another one, but this time, on a much larger scale. The original recipe for this Classic Sticky Gingerbread is by Mary Berry, who is THE Queen of Cake! I added more ginger, and the extra spices. She used just 4 teaspoons of ginger. Put the first four ingredients above into a medium-sized pot/pan, and heat through gently, stirring, and keeping a close eye on it. The reason for this is the treacle will burn very easily if left for a moment too long. When the mixture has melted, set aside to cool. Put the flours and spices into a bowl and mix together. Beat the eggs and the milk together. Pour the syrup mixture into the flour, along with the egg & milk mixture, and combine thoroughly. Give the tin a gentle tap on a work-surface, to get rid of the little air bubbles. Bake for 50 minutes, and test to see if it has cooked through. If not, leave it for 10 minute intervals until it has. Turn out and leave to cool completely, before attempting to cut in to the finished cake. I cut this into 20 squares, measuring about 2 x 2″ (5 x 5cm). This sounds fantastic! I prefer ginger, cinnamon, spice type cakes over sweet one. I'll bet the other cakes were jealous. 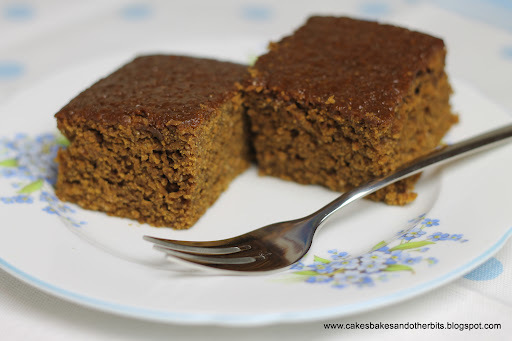 Like Greg I prefer spiced cakes – feel the need to make a ginger cake NOW!Lovely pics as always Colette! Thank you, Yvonne. I like a spiced cake too, and a few extra always help. Looks lovely. I wanted to put my hand into that last picture to grab a square, YUM! Thank you, Amee. It was nice to have a spiced cake, just for a change. 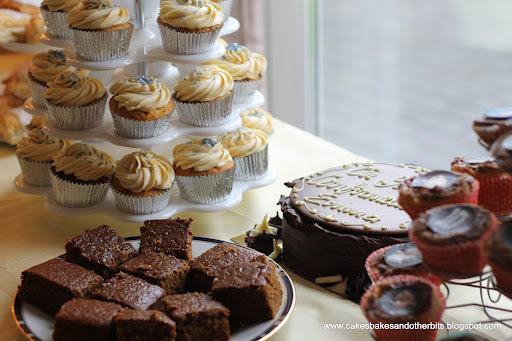 This looks lovely Colette, I've never tried making a spiced cake but I do like eating them! Thanks Adrienne. I love the spiced ones too. 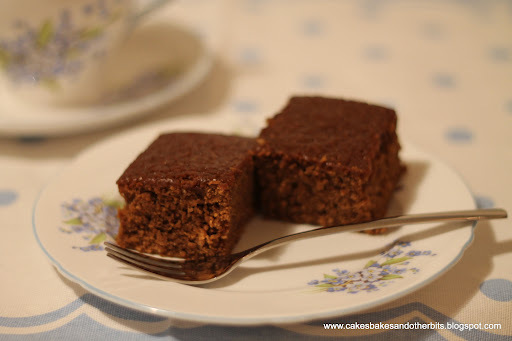 Sticky Toffee Date cake is another favourite of mine too. this is one gorgeous looking cake! nice job! 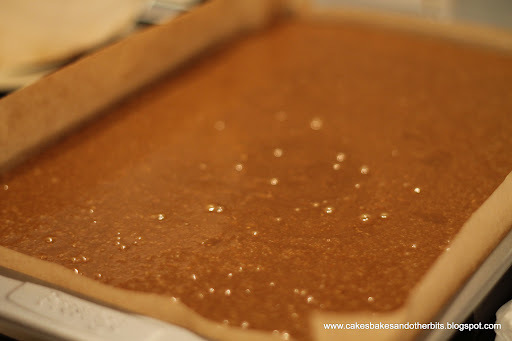 Looks completely scrummy… definitely on my to bake list! Looks really delicious and tempting!